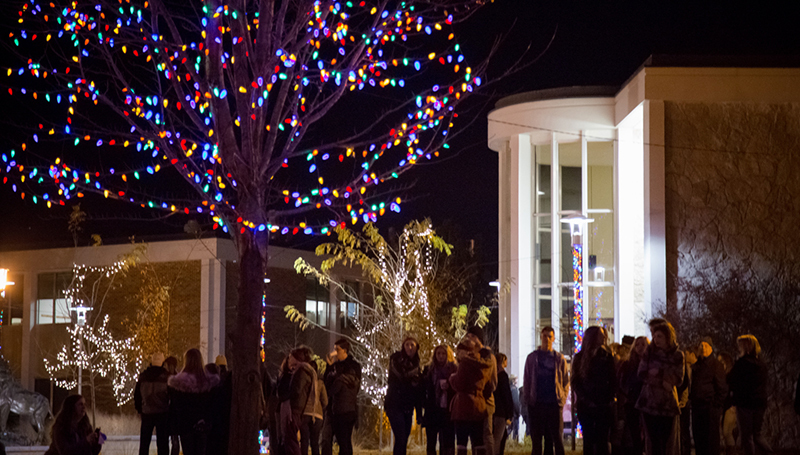 The 11th annual Southern Lights will be held from 5 to 6:30 p.m. Wednesday, Dec. 6, on the Oval and inside of Billingsly Student Center. The event will include cookie decorating, photo snow globes, carriage rides, crafts and more. Dr. Alan Marble will conduct the tree-lighting ceremony at 6 p.m. There will be photo snow globes, cookie decorating, carriage rides, crafts and it is all topped off with the tree lighting ceremony with Dr. Marble at 6:00PM. This event is free and open to students, faculty, staff and their guests. In conjunction, the MSSU Bookstore will offer a 20-percent discount on all regular price apparel and gifts on Dec. 6.